Adana (pronounced [aˈda.na] ; Armenian : Ադանա; Ancient Greek : Άδανα) is a major city in southern Turkey. The city is situated on the Seyhan river, 35 km (22 mi) inland from the Mediterranean, in south-central Anatolia. It is the administrative seat of the Adana Province and has a population of 1.75 million,  making it the 5th most populated city in Turkey. The Adana-Mersin polycentric metropolitan area, with a population of 3 million, stretches over 70 km (43 mi) east-west and 25 km (16 mi) north-south; encompassing the cities of Mersin, Tarsus and Adana. The Seyhan River is the longest river in Turkey that flows into the Mediterranean Sea. The river is 560 km and flows southwest from its headwaters in the Tahtalı-Mountains in the Anti-Taurus Mountains to the Mediterranean Sea via a broad delta. Its main tributaries are Zamantı and Göksu, which unite in Aladağ, Adana to form the Seyhan River. The Zamantı River originates from the Uzun Plateau in Pınarbaşı, Kayseri and crosses Tomarza, Develi and Yahyalı districts in Kayseri. 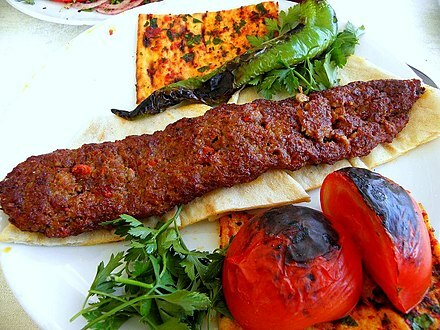 Adana lies in the heart of Cilicia, a geo-cultural region locally known as Çukurova. Home to six million people,  Cilicia is one of the largest population concentrations in Turkey, as well as the most agriculturally productive area, owing to its large stretch of flat, fertile land. The region includes the provinces of Mersin, Adana, Osmaniye and Hatay. Kizzuwatna, is the name of an ancient Anatolian kingdom in the 2nd millennium BC. It was situated in the highlands of southeastern Anatolia, near the Gulf of İskenderun in modern-day Turkey. It encircled the Taurus Mountains and the Ceyhan river. The center of the kingdom was the city of Kummanni, situated in the highlands. In a later era, the same region was known as Cilicia. 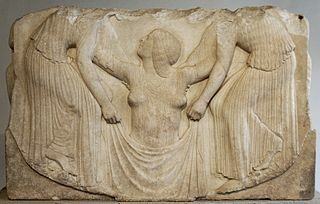 In Greek mythology, Danaus was the king of Libya. His myth is a foundation legend of Argos, one of the foremost Mycenaean cities of the Peloponnesus. In Homer's Iliad, "Danaans" and "Argives" commonly designate the Greek forces opposed to the Trojans. In Hellenistic times, it was known as Antiochia in Cilicia (Ἀντιόχεια τῆς Κιλικίας) or Antiochia ad Sarum (Ἀντιόχεια ἡ πρὸς Σάρον; "Antiochia on the Sarus"). The editors of The Helsinki Atlas tentatively identify Adana as Quwê (as contained in cuneiform tablets), the Neo-Assyrian capital of Quwê province. The name also appears as Coa and may be the place referred to in the Bible, where King Solomon obtained horses. (I Kings 10:28; II Chron. 1:16). The Armenian name of the city is ԱտանաAtana or ԱդանաAdana. Quwê – also spelled Que, Kue, Qeve, Coa, Kuê and Keveh – was a "Neo-Hittite" Assyrian vassal state or province at various times from the 9th century BCE to shortly after the death of Ashurbanipal around 627 BCE in the lowlands of eastern Cilicia, and the name of its capital city, tentatively identified with Adana, in modern Turkey. According to many translations of the Bible, it was the place from which King Solomon obtained horses. According to an ancient Greco-Roman legend, the name has its origins in Adanus and Sarus, the two sons of Uranus, who came to a place near the Seyhan (Sarus) River, where they built Adana. An older legend relates the city's name to Adad (also known as Tesup or Ishkur), the Thunder God in the Akkadian, Sumerian, Babylonian, Assyrian and Hittite mythologies, who was believed to live in the nearby forest, and whose name was given to the region. [ citation needed ] The Hittites' names and writings have been found in the area, evidencing this possibility. The theory goes that since the Thunder God brought so much rain and this rain in turn brought such great abundance in this particular region, this god was loved and respected by its inhabitants and, in his honor, the region was called the "Uru Adaniyya"; in other words "the Region of Ada". Uranus was the primal Greek god personifying the sky and one of the Greek primordial deities. Uranus is associated with the Roman god Caelus. In Ancient Greek literature, Uranus or Father Sky was the son and husband of Gaia, Mother Earth. According to Hesiod's Theogony, Uranus was conceived by Gaia alone, but other sources cite Aether as his father. 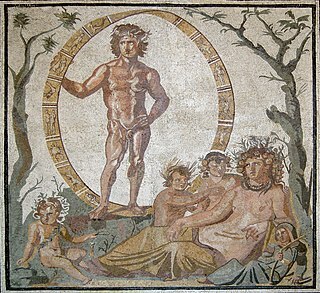 Uranus and Gaia were the parents of the first generation of Titans, and the ancestors of most of the Greek gods, but no cult addressed directly to Uranus survived into Classical times, and Uranus does not appear among the usual themes of Greek painted pottery. Elemental Earth, Sky, and Styx might be joined, however, in a solemn invocation in Homeric epic. The Taurus Mountains, are a mountain complex in southern Turkey, separating the Mediterranean coastal region of southern Turkey from the central Anatolian Plateau. The system extends along a curve from Lake Eğirdir in the west to the upper reaches of the Euphrates and Tigris rivers in the east. It is a part of the Alpide belt in Eurasia. In the mid-7th century, the city was captured by the Arabs. According to an Arab historian of that era,  the name of the city was derived from Ezene, the prophet Yazene's grandson. The Adana massacre occurred in the Ottoman Vilayet of Adana in April 1909. A religious-ethnic clash in the province amid governmental upheaval led to a series of anti-Armenian pogroms throughout the region. Despite official denial, which placed the blame squarely on the Armenians and the death count at a mere 1500, the massacres in the entire province of Adana resulted in the deaths of roughly 25,000 Armenians. The massacre left around 3500 Armenian children homeless, some being placed in a newly-built orphanage, Dârüleytâm. During World War I in 1915, Ottoman troops deported the city's Armenian population (approx. 20,000  ) to Syria under the course of Armenian Genocide. The city of Adana is referred as the area that is within the borders of Adana Metropolitan Municipality. This area covers 30 km (18.64 mi) around the City Hall excluding the areas out of the Province. Four levels of government are involved in the administration of the city; national government, provincial administration, metropolitan municipality and the district municipalities. Government of Turkey in Ankara holds most of the power; health, education, police and many other city related services are administered by Ankara through an appointed Governor. National government is also the lawmaker, adjudicator and auditor of all the other levels of government and the neighborhood administration. Semi-democratic provincial governing body, Adana Province Special Administration, has minor powers, dealing mainly with construction and maintenance of primary schools, daycares and other state buildings and some level of social services. Municipal governance is held in a two-tier structure; Metropolitan Municipality forms the upper and the district municipalities form the lower tier. Metropolitan municipality takes care of construction and maintenance of major roads and parks, operating local transit and fire services. District municipalities are responsible for neighborhood streets, parks, operating garbage collection and cemetery services. The district municipalities are further divided into neighborhoods(mahalle), the smallest administrative units of the city. Neighborhoods (Mahalle) are administrative units within the district municipalities and are administered by the muhtar and the Neighborhood Seniors Council. Although elected by the neighborhood residents, the muhtar is not granted any powers, thus functions as an administrator of the national government. Muhtar can voice neighborhood issues to the district municipality and do have a seat at the Adana City Assembly, an umbrella organization for the coordination of public institutions in the city. Despite the fact that neighborhood administration cannot provide social services nor have funding to increase the involvement of residents in neighborhood issues, many residents still like to identify themselves strongly with their neighborhoods especially in the low-income areas. There are a total of 254 neighborhoods in the city. Seyhan has 99 neighborhoods, 69 of them in the urban area and 30 are the neighborhoods of the former municipalities and the former villages that converted into neighborhoods. Yüreğir has 99 neighborhoods, 38 in the urban area and 61 rural. There are 29 neighborhoods in Sarıçam, 16 neighborhoods in Çukurova and 11 in Karaisalı district. A neighborhood population can range from 150 to 63,000. Some neighborhoods, especially in the Çukurova district, are very large—almost the size of a town—making resident access to muhtars difficult. Adana is one of the first industrialized cities, as well as one of the economically developed cities of Turkey. A mid-size trading city until the mid-1800s, the city attracted European traders after the United States, a major cotton supplier, was embroiled with its Civil War. Çukurova farmers exported agricultural products for the first time and thus started building capital. By the start of the 20th century, factories almost all processing cotton, began to operate in the region. Factories were shut down and the economy almost came to a standstill in 1915, after the genocide of Armenians who ran most of the businesses in the city. Foundation of the republic, again accelerated the growth of industrialization by re-activation of closed plants and opening of state-owned ones. With the construction of Seyhan Dam and improvements in agricultural techniques, there was an explosive growth in agricultural production during the 1950s. Large-scale industries were built along D-400 state road and Karataş road. The service industry, especially banking, developed during this period. Rapid economic growth continued until the mid-1980s and was accompanied by the rise of capitalistic greed which attracted movie makers to the region, filming income inequalities and the abuse of wealth. Extensive neo-liberal policies by then Prime Minister Turgut Özal to centralize the country's economy, caused almost all Adana-based companies to move their headquarters to Istanbul. The decline in cotton planting in the region raised the raw material cost for manufacturing, thus the city has seen a wave of plant closures starting from the mid-1990s. Young professionals fled the city, contributing to Adana's status as the top brain drain city of Turkey. Financial and human capital flight from Adana further increased since 2002 with the current national governing party, AKP, due to neo-liberal centralization policies similar to Özal's and in addition, hidden policy not to invest in major projects in a city nonaligned with AKP version of conservatism. In 2010, unemployment in the city reached a record high of 19.1 percent. After 20 years of stagnation, the economy of Adana is picking up recently with investments in the tourism and service industry, wholesale and retail sectors and the city is re-shaping as a regional center. Adana is an industrialized city where large-scale industry is based mostly on agriculture. Food processing and fabricated metal products are the major industries constituting 27 percent of Adana's manufacturing,  furniture and rubber/plastic product manufacturing plants are also numerous. As of 2008 [update] , Adana has 11 companies in Turkey's top 500 industrial firms. The largest company in Adana, Temsa Global, an automotive manufacturer, has more than 2500 employees and manufactures 4000 buses annually. Marsan-Adana is the largest margarine and plant oil factory in Turkey. Advansa Sasa is Europe's largest polyester manufacturer employing 2650. Organized Industrial Region of Adana has an area of 1225 hectare with 300 plants, mostly medium-scale. Arabs are concentrated in Karşıyaka quarter of Yüreğir. New generations of Arabs do not speak Arabic as they are mostly assimilated into Turkish culture. The demography of the city changed significantly in the 1990s after the massive migration of Kurds, many of them being forced to leave their villages in the southeast at the peak of Turkey–PKK conflict. Kurds mostly live in southern neighborhoods of the city. Conos, a tribe of Romani people of Romania, settled in Adana during the Balkan Wars. Conos mainly live around Sinanpaşa neighborhood. Around 8,000 Romani people live in Adana Province, including Conos. There is a sizeable community of migrants from the Balkans and Caucasia, who also settled in Adana during the Balkan Wars and before. Several bridges cross the Seyhan river within the city, the most notable among them is the Taşköprü, a 2nd-century Roman bridge. Currently used by pedestrians and cyclists, it was the oldest bridge in the world to be open to motorized vehicles until 2007. Demirköprü is a railway bridge that was built in 1912 as part of the Berlin-Baghdad Railway project. Regülatör bridge, at the southern section of the city, is a road bridge as well as a regulator for the river water. There are also three footbridges, Seyhan and Mustafakemalpaşa road bridges, the bridge of the metro and the bridge of the motorway spanning the river. Yağ Camii was originally built as the Church of St. James, then converted into a mosque by Ramazanoğlu Halil Bey in 1501. His successor Piri Mehmet Paşa added its minaret in 1525 and its madrasah in 1558. It is in the Seljuqid Grand Mosque style and has an attractive gate made of yellow stone. Adana has many parks and gardens. Owing to the warm climate, parks and gardens are open all year long without the need of winter maintenance. Adana State Theater opened its stage in 1981 at the Sabancı Cultural Center. It performs regularly from October to May. Adana Town Theatre was founded in 1880 by governor Ziya Paşa to be the first theater in Adana. In 1926, the theater moved to the newly-built Community Center. Town Theatre currently performs weekly at the Metropolitan Theatre Hall and the Ramazanoğlu Center. Seyhan Town Theatre and Seyhan Folkloric Dances are weekly events at the Theater Hall of Seyhan Cultural Center. Karacaoğlan Museum of Literature, Adana Museum of Cinema, Yeşiloba Martyrs' Museum, Mehmet Baltacı Museum of Photography and Adana Urban Museum are other noteworthy museums in the city, many of them located in restored historical buildings. State Fine Arts Gallery was opened in Sabancı Cultural Center in 1982. It carries 59 plastic pieces of art. 75.Yıl Art Gallery in Atatürk Park, Adana City Hall Art Gallery and Art Gallery in Seyhan Cultural Center are the other public art galleries. Orange Blossom Carnival is held every April, inspired by the scent coming from the city's orange tree-lined streets. The carnival parade of 2015 attracted more than 90 thousand people—the highest attendance ever in an outdoor event in Adana. Organized concerts and shows in the city's squares, parks and streets are accompanied by spontaneous street celebrations. The city was well known for its vibrant nightlife and many pavyons from the 1950s to the 1980s. Although some were family entertainment places, pavyons mostly functioned as adult entertainment clubs, similar to hostess clubs of Japan, with live music, usually two-storey, a stage and a lounge with tables lined up at the main floor and private rooms at the upper floor. The first pavyons opened in the city by 1942 with the arrival of English workers who worked on the Adana-Ulukışla road that was funded by the British Government to persuade Turkey to form a front in World War II. As Çukurova cotton was valued by the early 1950s, the surplus took landowners to the pavyons which opened more and more along the Seyhan river. In the 1960s, rapid industrialization brought more men to pavyons not only from the city, but from a wide region including Istanbul and Ankara, thus Adana was named Pavyon Capital of Turkey. Many popular singers took the stage at and owe their fame to the pavyons of Adana. Adanaspor and Adana Demirspor are the two clubs of Adana that appear in Turkish Professional Football League. After 12 years, Adanaspor returned to Super Lig,  in which they had competed for 21 years and were the runner up in 1980–81 season. Adanaspor also performed at the UEFA Cup for three years. Adana Demirspor, currently performing at the TFF First League, was the runner up at the Turkish Cup in 1977–1978 season and performed at the SuperLig for 17 years. Both teams share 5 Ocak Stadium as their venue, and the matches between them are known as the Adana Derby, an archrival atmosphere that is found in only three cities in Turkey. In women's football, Adana İdmanyurduspor competes in the First Football League, and plays their home games at the Gençlik Stadium. Botaş SK and the Adana ASKİ are the major clubs in Women's Pro-Basketball—both performing in the Turkish Women's Basketball League (TKBL). Botaş was the runner up at the Ronchetti Cup in 2000–01 season  and played in the Euro Cup Semi-Final in 2011–12. The team won the TKBL title in 2000–01 and 2002–03 and the Turkish Cup title in 2001–02 and 2002–03. The venue for Botaş is Menderes Sports Hall. Adana ASKİ was founded in Ceyhan in 2000, under the name 'Ceyhan Belediyespor', and renamed and moved to Adana in 2014. After the move, the club performed the best season ever (2014–15), playing in the final at the Turkish Women's Cup and semi-final at the TKBL First Division. Adana ASKİ also play their home games at Menderes Sports Hall. Adanaspor, relegated to the third tier of the Turkish Men's Basketball League in 2016,  playing their home games at the Menderes Sports Hall. Wheelchair basketball clubs, Adana Engelliler and Martı Engelliler appear in the first division of the Turkish Wheelchair Basketball League, both playing their home games at the Serinevler Sports Hall. There are several newspapers published daily in Adana, the most popular ones being the Yeni Adana, Ekspres, Toros, Bölge and 5 Ocak papers. Yeni Adana is the oldest newspaper and dates back to 1918. The newspaper played a significant role in the independence movement after the First World War. Most newspapers in Adana serve not only the city but the Çukurova region. Many national newspapers have their regional publishing centers in Adana. Hürriyet publishes a supplement paper, Hürriyet Çukurova, the most popular regional newspaper, that has circulation of 48,000. Sabah's regional supplement paper, Güney, is also published in Adana. Turkish State Railways (TCDD) runs five long distance lines that connect Adana to Ankara, Kayseri, Karaman, Konya and Elâzığ. All these lines are served at the Central Railway Station; some are also served at the other railway stations of the city—Şehitlik and Şakirpaşa stations at the west, Kiremithane, İncirlik and Yakapınar stations at the east. TCDD also runs three regional lines in Çukurova. Adana-Mersin Line runs as a commuter train with 27 train times daily. Train service from Adana to Osmaniye – Islahiye  and to Iskenderun run once daily. Regional trains stop at all city stations. The city of Adana is mostly flat and the warm weather makes it convenient for all year cycling and walking. The square shape of the city, city center's location right at the center of the square and the river running straight north-south in the middle of the city create further advantage for cycling as a means of transportation. Compact urban form due to dominance of high-rise buildings that are closely built, especially in Seyhan and Çukurova districts, make cycling from any end of the city to the city center to take less than 40 minutes. Despite all the advantages, car-oriented urban planning since the 1950s caused cycling to take a minor part in commuting to work or school. There are no bike lanes, but there are two bike paths, one along Fuzuli Street, the other along M. Kemalpaşa Boulevard—the latter not used by cyclists at all. Bicycles for commuting are currently only used by residents of low-income neighborhoods. Bicycle use for transportation is low all over Turkey,  but when compared to cities like İzmir, Konya and Eskişehir, Adana is less bicycle friendly. Adana Province, is a province of Turkey located in south-central Anatolia. With a population of 2.20 million, it is the sixth most populous province in Turkey. The administrative seat of the province is the city of Adana, home to 79% of the residents of the province. The province, geographically and as well as economically, is part of the Çukurova region together with Mersin, Osmaniye and Hatay provinces. Ceyhan is a city and a district in the Adana Province, in southern Turkey, 43 km (27 mi) east of Adana. With a population of over 157,000, it is the largest district of the province, outside the city of Adana. Ceyhan is the transportation hub for Middle Eastern, Central Asian and Russian oil and natural gas. The city is situated on the Ceyhan River that flows through Çukurova plain. The Ceyhan River is dammed at Aslantas to provide flood control and irrigation for the lower river basin around Ceyhan. Aladağ, formerly Karsantı, is a small city and a district in Adana Province, Turkey about 100 km north of the city of Adana, up in the mountains. This is an undeveloped area, the people live from agriculture and forestry. People from the Çukurova retreat up here in the summer to escape the heat on the plain, although it's too high up for a day trip. Karaisalı is a small city and a district in Adana Province of Turkey, administratively a part of the Metropolitan Municipality of Adana. Saimbeyli is a small city and a district in Adana Province, Turkey in the Çukurova region. The city of Saimbeyli is located in the Taurus mountains, 157 km north of the city of Adana, via an adequate road. The city had a population of 4,010 in 2012. Adana Airport or Adana Şakirpaşa Airport is an international airport located in Adana, Turkey. The airport serves mainly to the Çukurova region, and in a lesser extent to the provinces surrounding Çukurova, due to its frequent domestic flight schedule and several flights to international destinations. With 5.6 million passengers in 2016, it is the sixth-busiest airport in Turkey and ranked 80th in Europe. Yüreğir is a district-municipality in the Adana Province of Turkey. Population concentration of the district is within the city of Adana, on the east side of the Seyhan river. Sabancı Central Mosque in Adana is the largest mosque in Turkey. The exterior of the mosque is similar to the Selimiye Mosque in Edirne, though it has six minarets, similar to the Sultan Ahmed Mosque in Istanbul. Aytaç Durak is a Turkish politician, and has been the mayor of Adana since 1984, excluding one term (1989–1994). He is the longest serving locally elected city mayor in Turkey, currently at his 5th term. Adding his 17 years as a municipal councillor, he will have served the municipality of Adana for 42 years by the end of this term. He was the president of the Municipalities Union of Turkey for 17 years and the Çukurova Municipalities Union for 12 years. Merkez Park is a 33-hectare (82-acre) urban park that is located on both banks of the Seyhan River in Adana. The larger portion of the park, 30 hectares, is on the west bank. Adana Metro is a rail rapid transit system extending 13.5 kilometers (8.4 mi) along a north-south corridor through Adana, with 13 stations. It can transport 21,600 passengers per hour per direction. The total travel time on the metro, end to end, takes 21 minutes, including all stops. Adana Archaeology Museum,, located just west of the Sabancı Mosque in Adana, houses the historical heritage of Çukurova region. It is one of the oldest museums in Turkey. Çukurova is a district-municipality in the Adana Province of Turkey. Population concentration of the district is within the city of Adana, occupying north-west of the city. It is a modern residential district which came into being in the last 30 years as the city expanded north. Çukurova is located north of the Seyhan district, west of the Seyhan River and south of the Seyhan Reservoir. Sarıçam is a district and a municipality in the Adana Province of Turkey. Southern section of the district is part of the city of Adana, incorporated as a lower-tier municipality. The district located north of the Yüreğir district, east of the Seyhan River and the Seyhan Reservoir. It consists of former townships that are amalgamated to the city of Adana in 2008. Kurttepe is a mahalle in the Çukurova district of the city of Adana. The neighborhood is located at north end of the city, at the shores of Seyhan Lake. Karşıyaka is a quarter in the Yüreğir district of the city of Adana. The quarter is on the banks of Seyhan river, just across the old town. ↑ Beekes.Greek Etymological Dictionary, entry 6541. ↑ J. M. Balter and J. Matthew. Exploring the European Past, pp. 72–73. "Mycenean society and its collapse". ↑ Julius Pokorny. 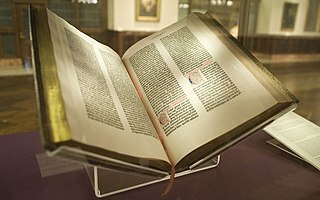 Indogermanisches Etymologisches Woerterbuch, entry 313. ↑ "Innvista – Horses from Egypt and Kue". Innvista. Archived from the original on 7 March 2012. Retrieved 2 October 2014. ↑ "Resmi İstatistikler: İllerimize Ait Genel İstatistik Verileri" (in Turkish). Turkish State Meteorological Service. Archived from the original on 13 January 2019. Retrieved 13 January 2019. ↑ Richard Price; Michael Gaddis (2005). The Acts of the Council of Chalcedon. Volume 1. Liverpool University Press. p. 122. ISBN 978-0-85323-039-7. ↑ See Raymond H. Kévorkian, "The Cilician Massacres, April 1909" in Armenian Cilicia, eds. Richard G. Hovannisian and Simon Payaslian. UCLA Armenian History and Culture Series: Historic Armenian Cities and Provinces, 7. Costa Mesa, California: Mazda Publishers, 2008, pp. 351–353. ↑ "Cilicia in the years 1918–1923". Zum.de. Retrieved 2 October 2014. ↑ Esref Yalcinkaya (2005). "Stochastic Finite-fault Modeling of Ground Motions From the June 27, 1998 Adana–Ceyhan earthquake" (PDF). Earth Planets Space. 57: 107–115. ↑ "5216 sayılı Büyükşehir Belediyesi Kanunu" (in Turkish). Grand National Assembly of Turkey. Archived from the original on 27 July 2010. Retrieved 26 July 2010. ↑ "5302 sayılı İl Özel İdaresi Kanunu" (in Turkish). Ministry of Justice. Archived from the original on 3 September 2011. Retrieved 21 July 2010. ↑ "Adana Büyükşehir Belediyesi Tarihçesi" (in Turkish). Adana Metropolitan Municipality. Archived from the original on 31 July 2010. Retrieved 26 July 2010. ↑ "Karataş Belediyesi Büyükşehir'e Bağlanma Kararı Aldı" (in Turkish). Haberler.com. Retrieved 3 February 2012. ↑ "Adana Büyükşehir Belediyesi Meclis Üyeleri" (in Turkish). Adana Metropolitan Municipality. Archived from the original on 15 September 2010. Retrieved 27 July 2010. ↑ "Adana Büyükşehir Belediyesi Encümeni" (in Turkish). Adana Metropolitan Municipality. Archived from the original on 12 June 2010. Retrieved 27 July 2010. ↑ "Yeni Adana Projesi" (in Turkish). Adana Metropolitan Municipality. Archived from the original on 15 September 2010. Retrieved 4 September 2010. ↑ "Sağlık Kampüsü Yüreğir'e". haber01.com. Archived from the original on 15 December 2018. Retrieved 4 September 2010. ↑ "Adana'da Kentsel Donusum". Kentsel Haber. Archived from the original on 13 July 2011. Retrieved 18 August 2009. ↑ "Adana Kenti İlçe Mahalle ve Muhtarlıklar" (in Turkish). Metropolitan Municipality. Archived from the original on 15 September 2010. Retrieved 27 July 2010. ↑ "Bekleyen dev: Adana". Aksiyon. Archived from the original on 4 January 2014. Retrieved 2 February 2012. ↑ "Adana'da sanayi tasfiye oluyor.(Turkish)". Vatan Gazetesi. Archived from the original on 16 June 2013. Retrieved 9 March 2009. ↑ "European Regions of the Future". Foreign Direct Investment Magazine. Archived from the original on 11 March 2007. ↑ "Adana Exhibition and Congress Center". TÜYAP. Archived from the original on 13 November 2008. ↑ "ÇÜ'de, 2 bin kişilik kültür ve kongre merkezi temeli atıldı (Turkish)". Zaman Gazetesi. Archived from the original on 28 September 2011. Retrieved 15 May 2008. ↑ "ATO Tarihçe (Turkish)". Adana Chamber of Commerce. Archived from the original on 15 June 2012. Retrieved 5 February 2012. ↑ "Adana Ticaret Borsası Tarihçe (Turkish)". Adana Commodity Exchange. Archived from the original on 11 April 2012. Retrieved 5 February 2012. ↑ "Hotels in Adana". ÇUKTOB. Archived from the original on 19 January 2010. ↑ "İllere göre tarım miktarları". Turkcebilgi.net. Archived from the original on 29 April 2010. ↑ "Distribution Of Sectors in Adana" (PDF) (in Turkish). Adana Chamber of Industry. Retrieved 14 October 2016. ↑ "Marsan Adana Plant". Marsan. Archived from the original on 4 October 2009. ↑ "Biruni". Biruni.tuik.gov.tr. Archived from the original on 18 February 2019. Retrieved 18 February 2019. ↑ "1910'larda kimine göre 2.5 milyon, kimine göre 4.5 milyon Kürt göç ettirildi.(Turkish)". Radikal. Retrieved 28 January 2012. ↑ "Gizli Ermeniler (Turkish)". AZSAM. Archived from the original on 1 May 2011. Retrieved 27 December 2008. ↑ Herbermann, Charles, ed. (1913). "Adana" . Catholic Encyclopedia . New York: Robert Appleton Company. ↑ "Amerikalı asker sayısı azaldı. (Turkish)". CİHAN News Agency. Archived from the original on 17 July 2011. Retrieved 18 September 2008. ↑ "Çarşı Hamamı(Turkish)". Kenthaber Kültür Kurulu. Archived from the original on 4 October 2009. ↑ "Adana". Adonis İstanbul. Archived from the original on 11 March 2010. ↑ "Yeni Camii". Kenthaber Kültür Kurulu. Archived from the original on 5 October 2009. ↑ Cezmi Yurtsever. "Kiikya Ermenileri". Cezmiyurtsever.com. Archived from the original on 8 July 2011. ↑ "Adana Devlet Tiyatrosu Tarihçesi(Turkish)". Adana Devlet Tiyatroları. Archived from the original on 9 September 2009. ↑ "13th State Theater-Sabancı International Adana Theater Festival". Sabancivakfi.org. Archived from the original on 4 April 2011. Retrieved 2 October 2014. ↑ "Nisan'da Adana'da". Nisandaadanada.com. Retrieved 2016-01-19. ↑ "Rakıcılar bir kez daha Dünya Rakı Gününde buluşuyor – CNN TÜRK". Cnnturk.com. 2014-11-27. Retrieved 2016-01-19. ↑ "Volleyball VII European Championship 1967". Todor66.com. Archived from the original on 27 May 2016. Retrieved 28 May 2016. ↑ "Adanaspor, Spor Toto Süper Lig'de – TFF'den Mesajlar Detay Sayfası TFF". Tff.org. 2016-04-24. Retrieved 2016-05-28. ↑ "Botaşspor Başarıları (Turkish)". Botaşspor Club. Archived from the original on 5 January 2010. 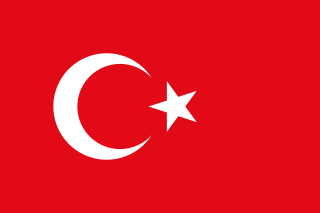 ↑ "Türkiye 1. Basketbol Ligi'nde Adanaspor küme düştü". Karar.com. Retrieved 2016-05-28. ↑ "Türkiye Voleybol Federasyonu". Tvf.org.tr. 24 May 2016. Archived from the original on 21 April 2016. Retrieved 28 May 2016. ↑ "Adana Byz Algomed Spor İddiali". Gazeteolay.com. Retrieved 2016-01-19. ↑ "Adana Şakirpaşa HEM SK Süper Ligde – Haberler". Thf.gov.tr. 21 April 2016. Archived from the original on 8 May 2016. Retrieved 28 May 2016. ↑ "> LİGLER > Bayanlar 1. Lig". Thf.gov.tr. Archived from the original on 2 June 2016. Retrieved 28 May 2016. ↑ "Adana Demirspor Tarihçe (Turkish)". Adana Demirspor Club. Archived from the original on 14 January 2010. ↑ "Büyükşehir'den 7 Yeni Havuz(Turkish)". Haberler.com. Archived from the original on 3 February 2016. Retrieved 1 February 2012. ↑ "Schools in Adana". Adana Governorship Education Department. Archived from the original on 4 October 2009. ↑ "Adana İl Halk Kütüphanesi Tarihçe (Turkish)". Adana İl Halk Kütüphanesi Müdürlüğü. Archived from the original on 3 April 2012. ↑ "Adana Kent Kütüphanesi Hakkında(Turkish)". Adana Kent Kütüphanesi. Archived from the original on 14 July 2014. Retrieved 2 February 2012. ↑ "Çukurova 5.Kitap Fuarı sona erdi. (Turkish)". Turkish Publishers Association. Archived from the original on 22 December 2012. Retrieved 8 February 2012. ↑ "Dershaneler Dosyası (Turkish)". Ankara Chamber of Commerce. Archived from the original on 4 March 2016. ↑ "ÇÜ'de Öğrenci Kayıtları (Turkish)". Haber FX. Archived from the original on 2011-07-23. ↑ "Çukurova Üniversitesi Tıp Fakültesi(Turkish)". Çukurova Üniversity. Archived from the original on 26 April 2012. Retrieved 2 January 2012. ↑ "Adana'ya 400 milyon TL'lik Sağlık Kampüsü yapılacak(Turkish)". Medikal Plus. Archived from the original on 26 April 2012. Retrieved 2 January 2012. ↑ "DHMİ İstatistikler(Turkish)". DHMİ. Archived from the original on 28 June 2015. Retrieved 7 January 2016. ↑ "Adana -Mersin Hızlı Tren Seferleri Başlıyor (Turkish)". Anadolu Ajansı. Archived from the original on 23 November 2009. Retrieved 19 November 2009. ↑ "Islahiye-Adana Regional Train". Todd.gov.tr. Archived from the original on 21 September 2014. Retrieved 2 October 2014. ↑ "Metronun İkinci Etap İhalesi Başlıyor. (Turkish)". Adana Medya. Archived from the original on 13 January 2010. ↑ "İkinci Etap Raylı Taşıma Sistemi Projesi 210 milyon dolara mal olacak (Turkish)". Adana Haber. Archived from the original on 3 September 2011. Retrieved 12 April 2011. ↑ Volkan Emre Uz, Mustafa Karaşahin (2004). "Kentiçi ulaşımda bisiklet" (PDF). Türkiye Mühendislik Haberleri. 429 2004/1: 41–46. ↑ "International Relations of the City of Beersheba" (in Hebrew). Beersheba Municipality. Archived from the original on 9 December 2008. Retrieved 6 December 2008. Talbert, Richard (2004). Barrington Atlas of the Greek and Roman World . New York City: The Overlook Press. ISBN 0-691-03169-X. Yeghiayan, Puzant (1970). Ատանայի Հայոց Պատմութիւն[The History of the Armenians of Adana] (in Armenian). Beirut: Union of Armenian Compatriots of Adana. Wikivoyage has a travel guide for Adana . Wikimedia Commons has media related to Adana .